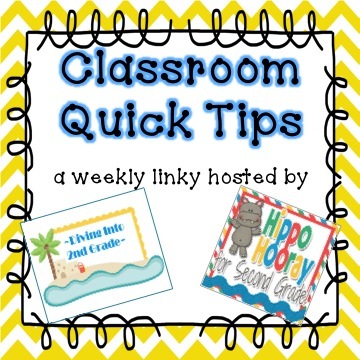 CLASSROOM QUICK TIPS 2.0 - Hippo Hooray for Second Grade! I actually stole this idea from my teammie, but I am SO doing this next year! She put two long velcro strips (the fuzzy side) on on her whiteboard where she hangs her schedule. Then she put the stiff, prickly velcro on the back of each of her schedule cards. Then she hangs up her schedule! 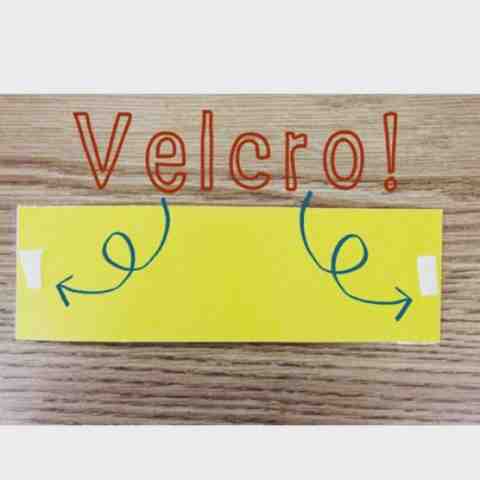 You can overlap them without having to worry about them falling off the board! I can't tell you how many times I'm picking schedule cards up off the floor. Don't you love these schedule cards?!?! All three second grade classes at my school snagged the amazing Cara Carroll's FREE schedule cards HERE! Link up with your Classroom Quick Tip! And don't forget to check out our Pinterest Board with all the bloggers who've shared their tips so far! I use similar cards but I laminated with the heavy stuff and I used strong magnet tape. These go up on the side of my white board. Kids love it when I remove them as we complete throughout the day. I can easily move them around. 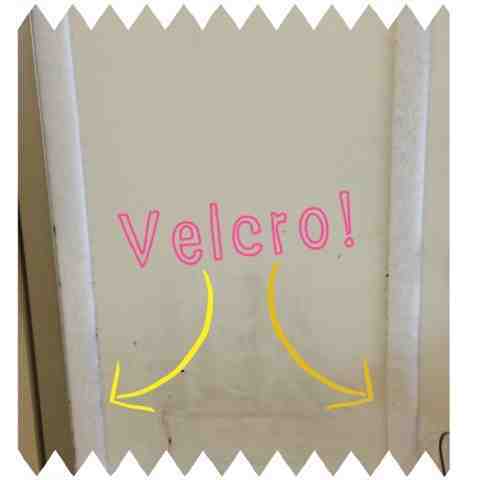 I use the velcro trick for words on my tall cabinet doors. Since nothing sticks in my room, I ran top to bottom strips of colored duct tape down the center of each door. I put the velcro fuzzy side dots on the tape; and the hook side dots to the back of the laminated vocabulary, genre type, etc. Easy to change out; high enough for all to see. I made my vocabulary cards from sentence strip paper and laminated them. Those are my two tricks that worked! I'm going to be using a similar method to change out my Common Core goals each day.